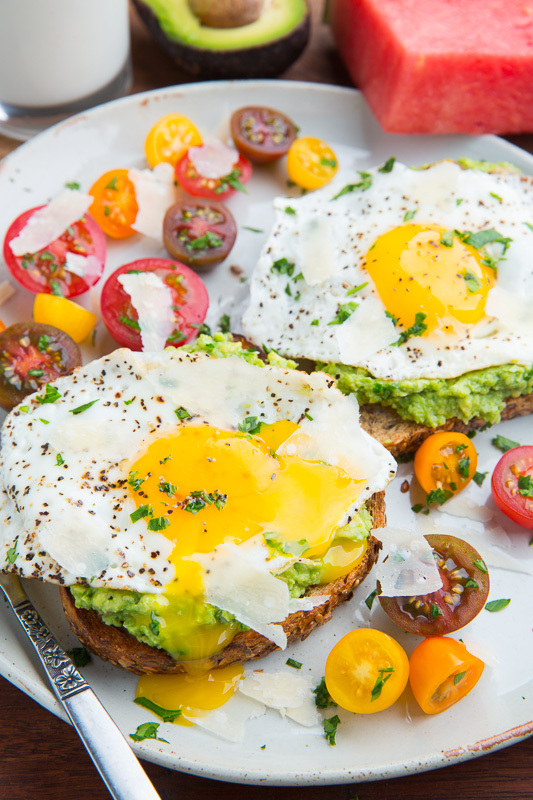 Quick and easy mashed avocado spread on toast topped with a fried egg with a runny yolk! 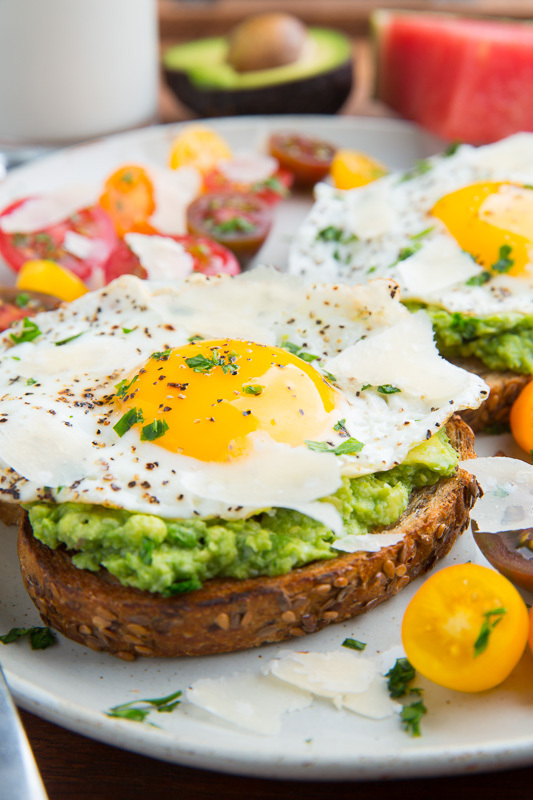 One of my favourite light meals has to be avocado toast! It’s so quick and easy to make and oh so good! 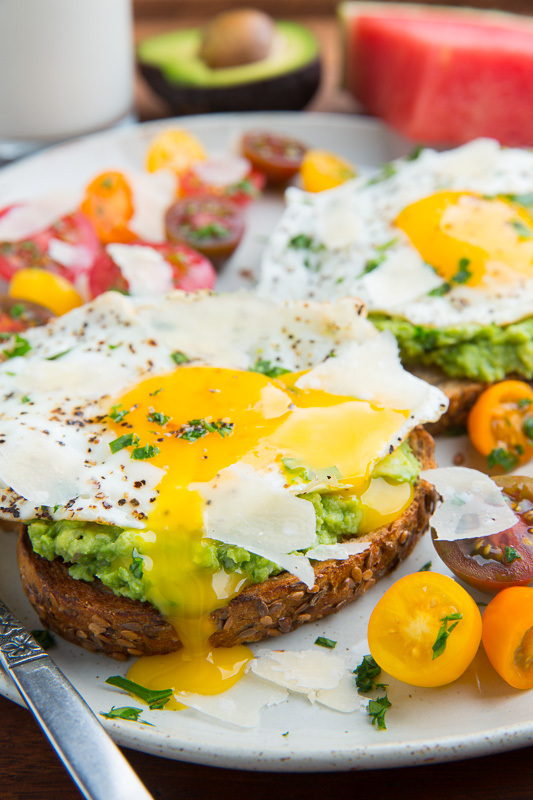 At it’s base it’s just toast topped with avocado which is amazing all by itself but throw some lime or lemon juice and salt into the mix and it becomes divine! That’s really just a start as well and from there the only limit is your imagination! Some of my favourite flavour/ingredient combos include: lime juice, salt, jalapeno, onion and tomato, and lemon juice, salt, parmesan, basil and tomato. Some other flavour ideas include: sundried tomatoes, olives, chipotle chilies in adobo, etc. 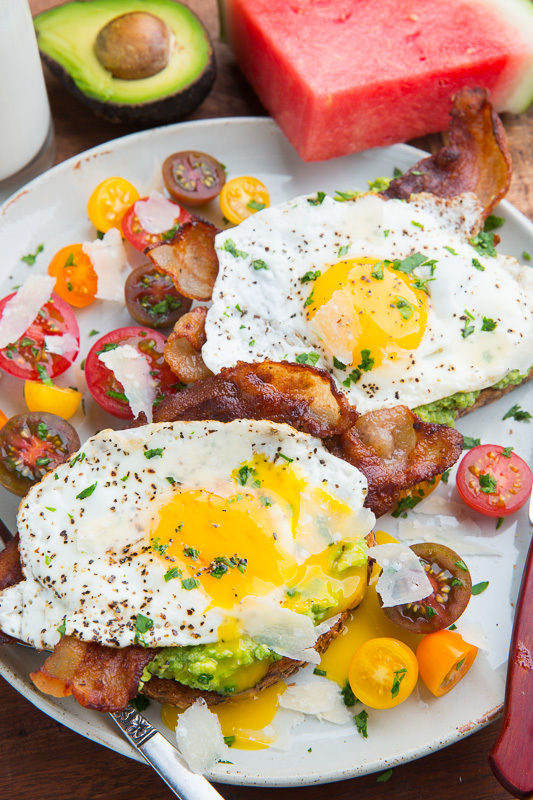 Once you’ve got the avocado layer figured out you can add other things like lettuce, tomato, and my favourite, an egg whether fried, poached or scrambled and since we’re talking about avocados and eggs lets not forget bacon! 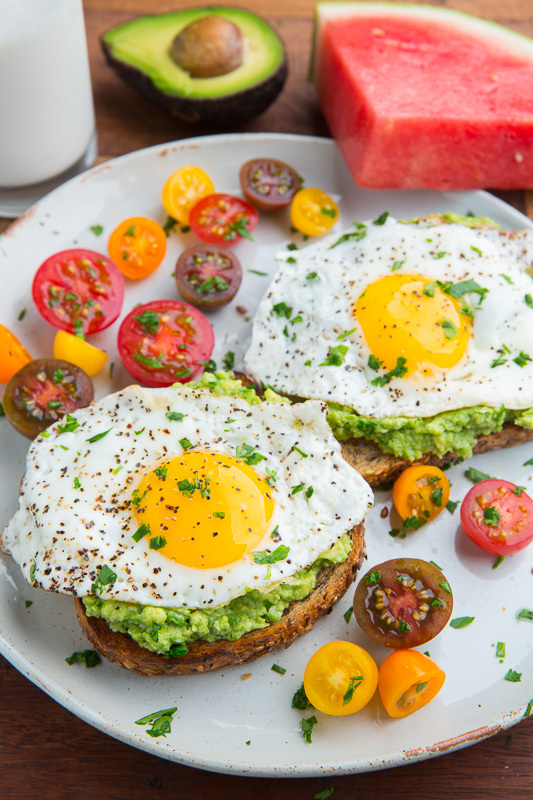 I like avocado toast both for breakfast or as a light meal and they’re great any time of day! …mmm… runny egg yolk… yum! Mash the avocado, lemon juice and salt. Fry the eggs in a pan over medium heat. 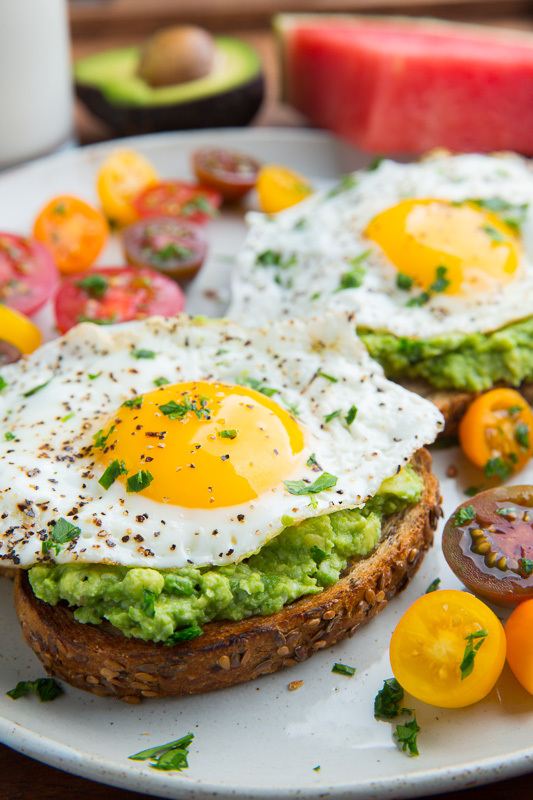 Spread the mashed avocado mixture on the toast, top with the fried eggs, season with salt and pepper and enjoy! Option: Add basil or cilantro or other herb to the avocado mixture. Option: Add jalapeno or hot sauce! 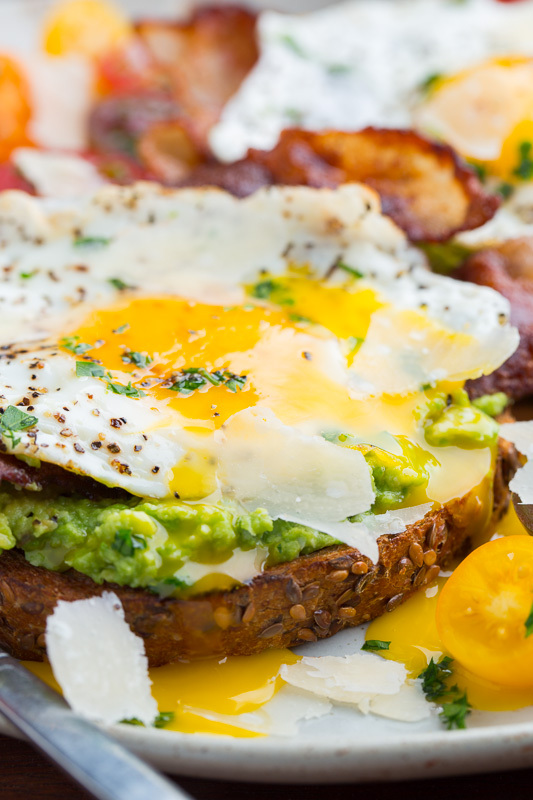 Option: Add parmesan or queso fresco, either sprinkled on top or mixed into the avocado! Ooh, I know what we will be having for breakfast on Sunday, (with bacon, of course). Thanks, Kevin! 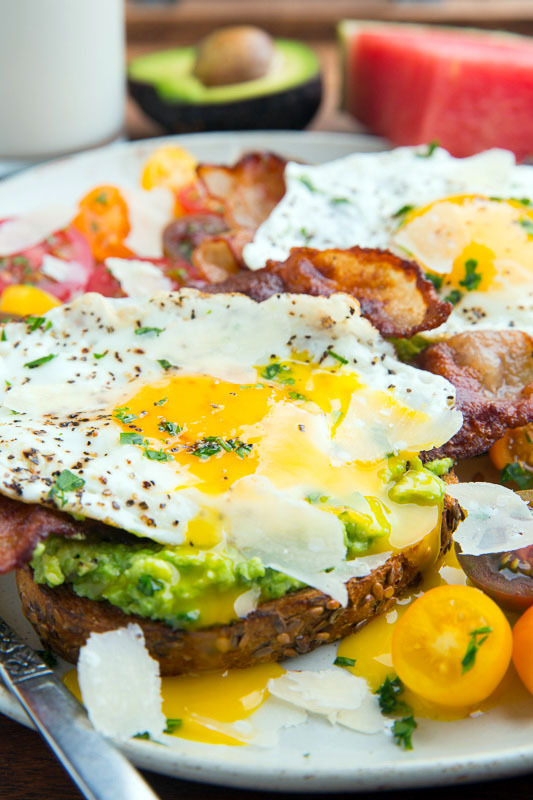 I would love to wake up to this breakfast! I served with ham, and added a ¼ teaspoon each of cumin and chilli powder to the avocado mash, to pep it up a little. Looks like a great way to start the day off! I am making this tonight for dinner. I have all the ingredients, and no one to feed but myself … and maybe a cat or two who always beg, as if I ever give them my food … well, maybe once or twice ..